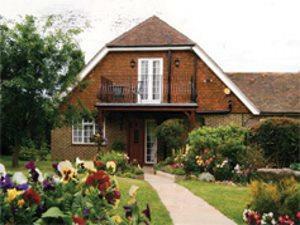 Iwood Bed & Breakfast01435 863918work Guest AccommodationIwood B&B is a secluded house offering luxury accommodation set within delightful gardens in a quiet no-through road and with distant views of the South Downs and the sea. We are located in a quiet area of Heathfield, within walking distance of the local shops, restaurants and cafes. We are 2 minutes from the route 21 cycle path which is part of the Avenue Verte from London to Paris. We offer secure storage for bicycles and off-road parking for cars. All rooms are en-suite with free wi-fi, tv/dvd, hospitality tray, hairdryer, ironing facilities and digital clock radio with ipod docking station. Our deluxe room has its own balcony with table and chairs overlooking the garden. Toiletries and towels are supplied to make your stay as comfortable as possible. Our extensive breakfast menu includes home-made preserves. Special diets are catered for upon request. You will be given your own keys allowing you to come and go as you please. We have free range chickens and can often supply our guests with lovely freshly laid eggs. Iwood B&B is a secluded house offering luxury accommodation set within delightful gardens in a quiet no-through road and with distant views of the South Downs and the sea. We are located in a quiet area of Heathfield, within walking distance of the local shops, restaurants and cafes. We are 2 minutes from the route 21 cycle path which is part of the Avenue Verte from London to Paris. We offer secure storage for bicycles and off-road parking for cars. Through Heathfield on the A265 towards Burwash. Once passed shops continue up Mutton Hall Hill to first crossroads with traffic lights. Turn SHARP left into Mutton Hall Lane which is a cul-de-sac. We are second from last house in the lane on left hand side with B&B sign on the gate.